I spent two years researching and writing about women who cannot be known. I have police reports, with names and numbers, blackened out. I have been to Florida and Washington State in search of photographs and interviews. This is as close as I can get. The following poems are a small part of a larger collection that is journalistic in tone and focuses on the intervention of horrific events into everyday lives. The writing presents evil initially as an anonymous force of nature that slowly evolves into a specific perpetrator. 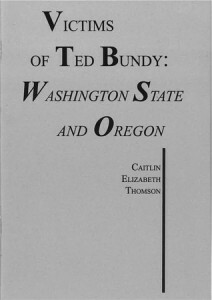 The perpetrator is Ted Bundy. 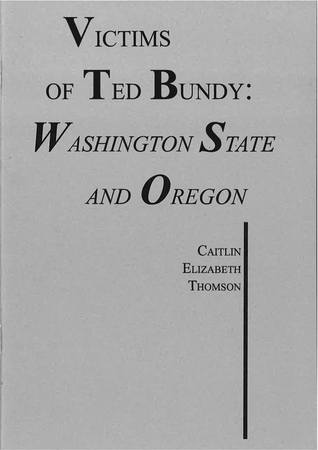 Many know Ted Bundy, the serial killer, however, the names we should remember are those of his victims. $8, including shipping and handing at no additional cost. If you have any questions please email send an email to cthomson@gm.slc.edu. Thank you for your support.